Menka Shivdasani’s first book of poems, the critically acclaimed Nirvana at Ten Rupees, was published by Adil Jussawalla for XAL-Praxis in 1990. 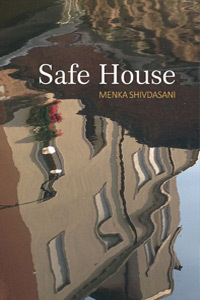 Her second collection Stet first appeared in 2001, and her third collection, Safe House, was published recently by Paperwall Media & Publishing Pvt Ltd. Menka is also co-translator of Freedom and Fissures, an anthology of Sindhi Partition poetry, published by Sahitya Akademi in 1998 and editor of If the Roof Leaks, Let it Leak, an anthology of women’s writing that forms part of a series being brought out by Sound and Picture Archives for Research on Women (SPARROW). She has edited two online anthologies of contemporary Indian poetry for http://www.bigbridge.org, an 18-year-old American e-zine. 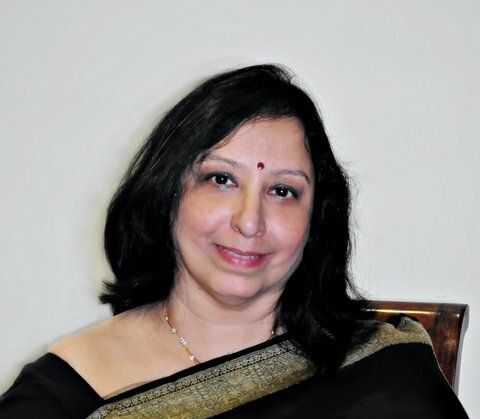 Menka is joint coordinator of the Culture Beat initiative at the Press Club in Mumbai and has been a member of Asia Pacific Writers & Translators Association since its inception. As Mumbai coordinator for the global movement, 100 Thousand Poets for Change, she organises an annual poetry festival at the Kitab Khana book store. Menka’s career as a journalist includes a stint with South China Morning Post in Hong Kong, and the publication of nine books as co-author/ editor, three of which were released by the then prime minister Atal Bihari Vajpayee. In 1986, she played a key role in setting up the Poetry Circle in Mumbai. RK Biswas: When did you start writing poetry and what drew you to it? Why not fiction or other forms of prose? Menka Shivdasani: The earliest verses that I can recall – though they were definitely not poetry! — were when I was seven or eight years old. I wrote something about a puppy named Terry though I had never owned a dog; this was published in a newspaper thanks to the efforts of a freelance journalist called Rajika Kirpalani, who believed children should be encouraged. There was also something about a strange man, who was “beautiful as a bullfrog/ pompous as a pig” – I have no idea where that came from. And as a schoolgirl, I filled many notebooks with verse. I did write some fiction in the early days, and my first published piece, soon after I left school, was a short story that the Free Press Journal newspaper titled ‘First Love’. Around the same time, I also had a short story published in Femina, the women’s magazine of the Times of India group. During my teens, I wrote several “middles” which were published in The Times of India; these were 400-word creative pieces that appeared on the edit page. The editor told me that nine out of ten middles he received went straight into the bin, so I was delighted that he published most of the articles I sent him. Later, as a journalist, I did a great deal of prose writing, of the kind that was never meant to last. Somewhere along the way, as I realised how different the two disciplines were even though both had to do with writing, I decided to focus on poetry. Prose was something I did for a living since financial independence was important, but it did not necessarily come from the heart. 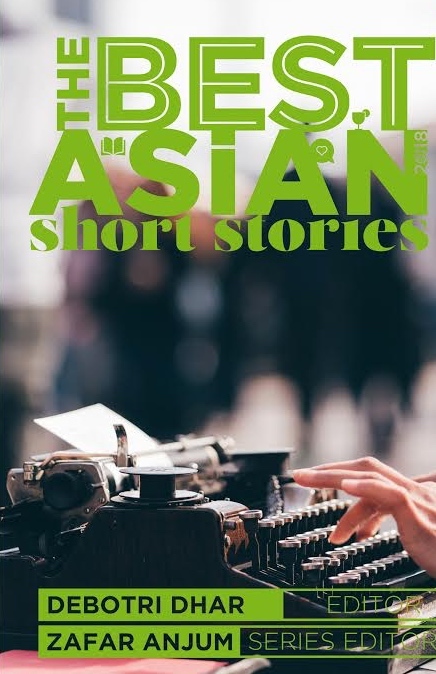 My second collection, Stet, did have one short story at the end and I recently wrote a prose piece for the upcoming issue of Muse India, at the editor’s request. When I was 15, a cousin introduced me to Patanjali Sethi, the then Training Officer of The Times of India. Mr Sethi read my work and thought I would benefit from meeting Nissim Ezekiel, whose Night of the Scorpion we had studied in school. He wrote a letter of introduction, which I took to his office at the University of Mumbai. It was Nissim who taught me the importance of craft, and who encouraged me to work on my poetry. I showed him everything I wrote in those days, and once, when I found a poem in my own handwriting but had no idea what it meant, he read it, gave me a strange smile and said, “It’s when you show me poems like this that I know every minute I spend talking to you about poetry is worth it.” He got this poem, Today’s Fairy Tale, published in The Times of India. We also did several radio and television programmes on poetry together. In addition to craft, there was another important lesson I learned from him. Several years after I first met Nissim, when I asked what he thought of a particular poem I had written, he said: “It’s not what I think, or what anyone else thinks, that matters. The question is – what do you want to be represented by?” I thought of this every time I put together a manuscript and ended up throwing out three-fourths of what I had written! Who were the other influences in your poetic life? Poets you read and went back to? I was fortunate to be at the right place at the right time. 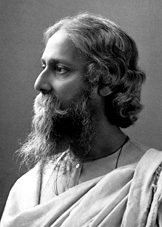 It was in the mid-1970s, soon after I completed school, that I began to open my eyes to contemporary poetry in India. This was the time that Clearing House was bringing out its marvellous books, so Adil Jussawalla, Arun Kolatkar, Arvind Krishna Mehrotra and Gieve Patel introduced me to a whole new idiom, and showed me through their work what poetry could do. However, at some point I became aware that it was important to find one’s own voice and not be unduly influenced by anyone. A recent discovery was Wendell Berry’s poem, “How to be a Poet (To Remind Myself)”, which I found online. What according to you was the English Indian poetic scene like for women poets during the eighties? There was Imtiaz Dharker; she lived in Bombay then, and I remember when Nissim read the manuscript of Purdah, he told me she would be one of the greats. I knew many women who wrote poetry – for instance, Melanie Silgardo, who was one of the three founders of Newground, along with Santan Rodrigues and Raul d’Gama Rose; they brought out their own poems in a collection titled 3 Poets, which had a foreword by Adil Jussawalla. Sujata Bhatt, though she did not live in India, was also well-known, weaving Gujarati words into her English poetry. Charmayne D’Souza and Marilyn Noronha were members of the Poetry Circle that Nitin Mukadam, Akil Contractor and I founded in 1986, and they went on to publish their collections. Tara Patel received some attention as well. Vrinda Nabar was very influential; she also had a radio programme called “Writers of Tomorrow”, and one of my early highs as a fledgling writer was being invited to participate in it. But yes, there was a sense that women did not get the space that they deserved in anthologies, and were being marginalised. I’m happy to see that there are so many talented and accomplished women poets today, not just in English, but in regional languages as well, as I realised when I edited an anthology of women’s writing for Sound and Picture Archives for Research on Women (SPARROW). You have curated poetry for The Big Bridge Review. Can you share with us your experience and the poets/poems you enjoyed editing the most? Are you involved in editing any more anthologies? I have been associated with a global movement called 100 Thousand Poets for Change since its inception a little over five years ago and I organise a poetry festival in Mumbai every year. Michael Rothenberg, who is a co-founder of this movement along with Terri Carrion, has been bringing out the Big Bridge webzine for 17 years. In 2013, he asked if I would edit an anthology of Indian poetry for Big Bridge and I agreed. I chose to interpret “contemporary” in a fairly flexible manner by including some poems that I had been familiar with for years. Since this was an online anthology that would reach out to many people who might not be familiar with Indian writing in English, the idea was to provide a sense of perspective, include work by poets who had helped to shape contemporary poetry in the post-independence period. I also tried to represent poets from different parts of India and a couple of poems in translation, such as one by the Hindi poet Anamika (http://bigbridge.org/BB17/poetry/indianpoetryanthology/Anamika.html#.) One particularly exciting discovery for me was the work of Tanya Mendosa, whose poem, “The Daughters of the Lie” I included. (http://bigbridge.org/BB17/poetry/indianpoetryanthology/Tanya_Mendonsa.html#). I first heard of her at a national seminar of women poets when someone from Goa did a paper on her. Since these were online anthologies, they had the advantage of reaching out to very wide audiences, especially since Michael connects with poets across the world through 100 Thousand Poets for Change. Though Big Bridge and 100TPC are not directly connected, Michael’s circle worldwide is huge thanks to 100TPC. Some people have suggested that I bring out these anthologies in a print version and Michael has conveyed that it is fine to do so, if a publisher is interested. I am not currently working on editing new anthologies, but I did recently edit the English section of a book of poems by an eminent Sindhi writer called Mohan Gehani. The book, Brittle Ice, was brought out in a bilingual edition recently by Sarabjeet Garcha’s Copper Coin Publishing. There is a longish gap between your earlier books of poems – Stet and Nirvana at Ten Rupees – and your latest book Safe House. Why? I write very little poetry and have never been in a hurry to publish. I think it is dangerous when people publish too soon, and I see this increasingly in today’s times, with desktop publishing having become so easy and various agencies offering self-publishing services. As I said in The Hindu, (http://www.thehindu.com/features/metroplus/nxg/the-value-of-silence/article5474410.ece) “While the thrill of seeing a book published is unmatched, a collection of poetry, whether digital or in print, should not be put together in a hurry, and then reduced simply to being a calling card, or an ego boost; it must be a distillation of a lifetime’s worth of thought, feeling and experience”. Nissim Ezekiel used to ask me why I wasn’t putting together a manuscript and I told him I wasn’t ready then; it was only ten years after I started working on my “mature” poetry with him that I finally thought it was okay to put together a book. He actually started applauding when I told him that! The journalist in me has always recognised that words put together in a hurry also disappear equally quickly, and it was this understanding that made me wary as a poet. In fact, a few years ago, Keki Daruwalla had asked me to give him my poems for a double-decker (two-poet) volume that he was bringing out through Sahitya Akademi. I told him that I did not think I had enough poems that I would want to see in a book at that point. Later, when the book did come out with another poet instead, I was asked to moderate a discussion on it, which I did, trying not to think of the fact that this should have been my book! Tell us something about your journey with Safe House. How did the book evolve? Which poems in the collection mean more to you and why? After my second collection Stet first appeared in the year 2000 – and saw zero distribution, I might add – I continued to write poetry but thought most of it was terrible. I also had this bad habit of throwing away much of what I wrote and losing a fair number of poems too. Hemant Divate of Paperwall Media (Poetrywala) had told me years earlier that whenever I was ready with a manuscript I should give it to him, and I told him it would be a long time. But the clock started ticking and I began to think that my time was limited; that I should consider bringing out a book before it was too late. I took more than a year to put it together, and hunted frantically for some of the poems I remembered writing but just could not find anywhere. There was one, for instance, on the 250-year-old banyan tree in Kolkata’s botanical garden – the one with more than 3300 aerial roots that had grown to occupy a huge space. I had this sudden image of the tree expanding, its roots stepping forward into the city, and taking over the urban landscape with its crush and chaos. I would have liked to include that poem. There was another that I had written on Death, perching on my shoulder with its colourful wings, enticing me to another land, which I had second thoughts about and did not include. There was a poem with a terribly clichéd title, “Unfinished Journeys”, a longish poem that I had read on various platforms earlier and which had received a positive response every time. But while putting together the manuscript, I decided to leave it out. In the end, I was left with a very slim volume that I showed to two people whose work I admire. The title was a problem and I delayed sending the manuscript to Poetrywala for six months, simply trying to figure out what to call it. Then one day, out of the blue, I wrote a poem about a subterranean space and it suddenly struck me that “Safe House” would be the ideal title. I liked the concept of a “safe house” – something that looks innocuous on the outside, but is full of clandestine activity inside. I thought that described my state very well! I know the title has also been interpreted in a domestic context, since so many of the poems revolve around a domestic space. In every book, there have been two or three poems with which I have been most comfortable – poems that work and have been validated through the years. In Nirvana at Ten Rupees, the poems “Spring-Cleaning” and “Why Rabbits Never Sleep” became the ones I was most at ease with; in Stet, it was the poem “Tea Party”, which is still my personal favourite. In Safe House, it is “Bird Woman”, the first in the book that I would be most comfortable presenting; it is about a woman who confronts her multiple selves and finally soars to freedom. Another poem that meant something to me in this book was “The Clinging Vine”. It actually began in my head with the title “Woman Unplugged” and it came from a moment when I felt that if you are a woman at a certain stage in life, the only time anyone talks to you is when someone needs to be fed, or someone needs to be paid. I had this sudden vision of wires in the house all curling back from their plug points simultaneously, and all the gadgets suddenly going still. The refrigerator was the largest of these, and I began the poem with the line, “Put her in cold storage”. Before I knew it, the poem became completely different. It used the image of a tomato, without actually mentioning the word, and since the tomato also grows as a vine, I decided to call the poem “The Clinging Vine”. To my mind, this also had associations with the way women are sometimes perceived, which has nothing to do with the reality. This poem appeared in an American book called The World of Change, along with an accompanying essay by me on violence towards women in the context of the Nirbhaya case. The poem “Ninth Life” was written in unusual circumstances. I was in a hospital ICU; I had a drip in my right hand and keyed in the poem on the Blackberry that I was holding in my left. After an ordinary dental surgery, I had reacted to a painkiller injection the doctor gave me, and had gone into spasms within minutes. The dentist called a cardiac ambulance and told me the next day he thought I wouldn’t make it out of his chair alive since my system had gone completely haywire. I thought it would be the last poem I would ever write. There were also two or three poems that owed their origins to the work I had done with translations of Sindhi Partition poetry and the massive trauma that the community had gone through during this difficult time. There are many poems in the book that I would find difficult to read aloud. It takes many years for me to become “friends” with specific poems, both before and after they are published. Are you working on anything new now? What’s in the cards? At the suggestion of a publisher, I am working on a book that includes both prose and poetry but would prefer not to say too much about it at this stage. What happens during an ordinary day in the life of poet Menka Shivdasani, a peek/ a glimpse? I wish I could say that I spend all my time closeted in an ivory tower writing masterpieces! Like most women who run homes, however, I spend much of my time doing the many mundane things that need to be done. Still, there was a time when I worked 12 – 14 hours a day managing an editorial services company that brought out weekly supplements for one of India’s biggest newspapers. Life is much more relaxed now, and while I continue to take on writing and editing assignments, it is at my own pace. 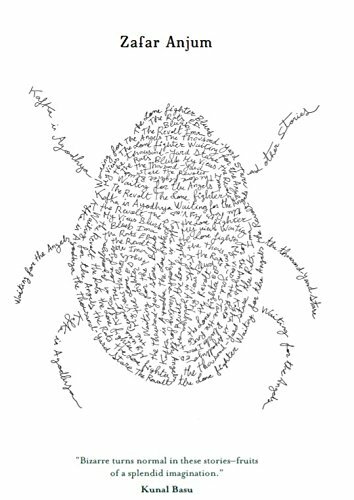 Occasionally, if I’m lucky, a poem ambushes me, hiding behind the sofa or jumping out of the cooking pot. Unfortunately, this does not happen often enough. Posted in Authors, Poetry and tagged Adil Jussawalla, Arun Kolatkar, Arvind Krishna Mehrotra, Menka Shivdasani. Bookmark the permalink.